One of Marvel’s major offerings for nearly a decade now has been Hawkeye. Through various permutations, it has remained one of Marvel’s strongest offerings even past the seminal Fraction/Aja/Wu run. That Kelly Thompson and Leonardo Romero’s run came to an end was saddening, but not too bad in comparison with its predecessors. 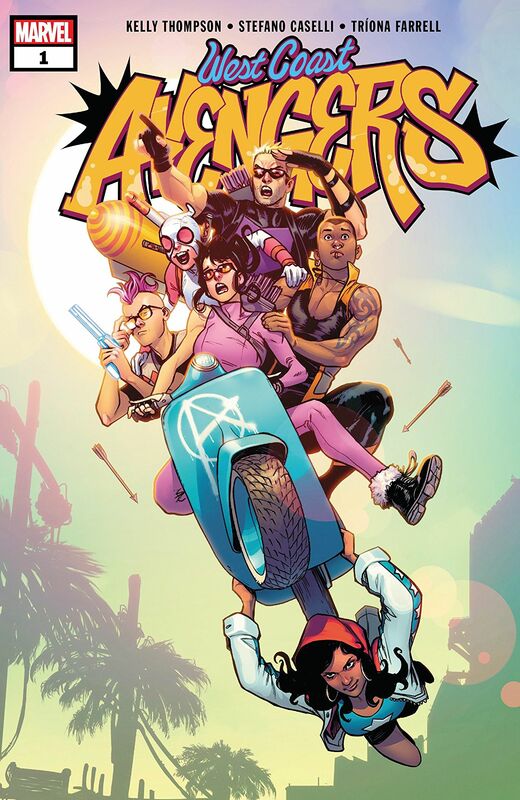 However, as it turns out not all good things have to come to an end as the story for both Hawkeyes continues with West Coast Avengers, and while it shares very little with its predecessors beyond a name and a Hawkeye and that is by no means a bad thing. As opposed to simply being another Avengers team, it acts as a sort of counterweight to the more glossy and action-heavy main Avengers book with a decidedly more diverse cast to boot. While Marvel has of late been investing in more familiar leads, this book is a mix of old, diverse, and new characters which helps lend it a very distinct sensibility in the parade of Marvel’s Fresh Start books. With any Kelly Thompson book you’re likely to encounter an edge and a self-aware sensibility of just what kind of book it is. 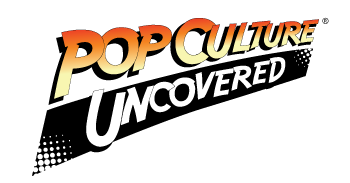 West Coast Avengers is no different in that regard and the reality TV premise of the book could seem like the outer edge of how absurd you can take a superhero book. However, it works as a very quick and introspective way of introducing the entire team in a way that doesn’t require you to wait the entire arc, or just have everyone simply beat each other up. While half the cast are already known quantities in their character dynamics, Quentin Quire and Gwenpool help to infuse the book with a wild card dynamic that keeps things interesting, after all superhero book’s engines stem from conflict whether that be character or of the action-y kind. In this regard, Kelly Thompson’s writing absolutely succeeds in keeping things exciting. Comic books however, couldn’t exist without the artists, and the team for West Coast Avengers is as dynamic as they come. Stefano Caselli’s bounced around through a few Marvel books lately, but his style here takes the cake and is a bit scratchier in the vein of his work on Secret Warriors rather than his current work of late. It helps to sell a somewhat more grungy version of Venice than the one we saw in Hawkeye Investigations. It also helps to present a really mean land shark. Triona Farrell’s colors also look sublime combined with Caselli’s colors. Coloring enhances at its best and Farrell’s colors do just that from the more vibrant purples on Hawkeye’s costume and Kid Omega’s hair, to the bright sunsets contrasting against the characters. It is quite simply a beautiful book to look at. If you’re looking for a more insular book than Avengers, one that’s going to walk you outside the characters you’re familiar with, than West Coast Avengers is definitely one worth getting in at the start of.